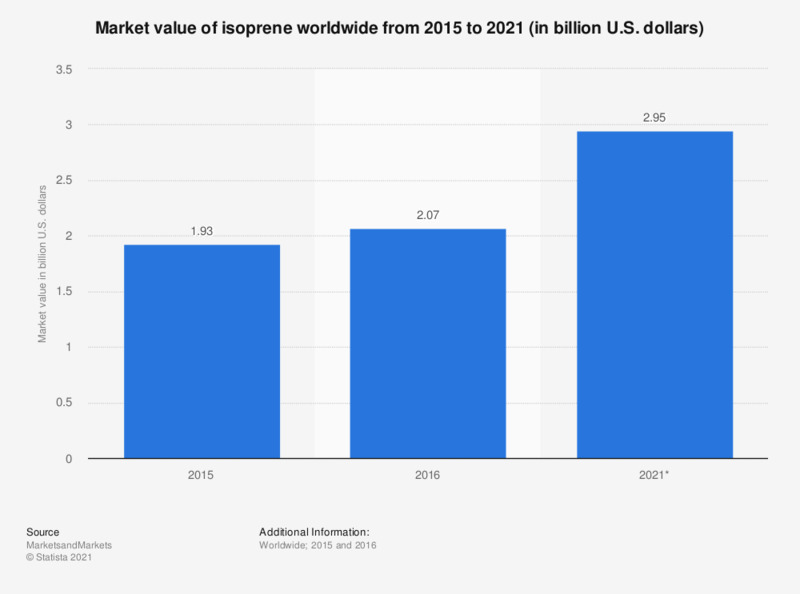 This statistic displays the market value of isoprene worldwide in 2015 and 2016, and a forecasted figure for 2021. By 2021, the market value of isoprene is expected to reach around 2.95 billion U.S. dollars. One of the main drivers in the increasing of the market value of isoprene is the growth of the global rubber industry.